We’ve mostly been cooking for ourselves and have been getting our food from markets and supermarkets probably about 50/50. 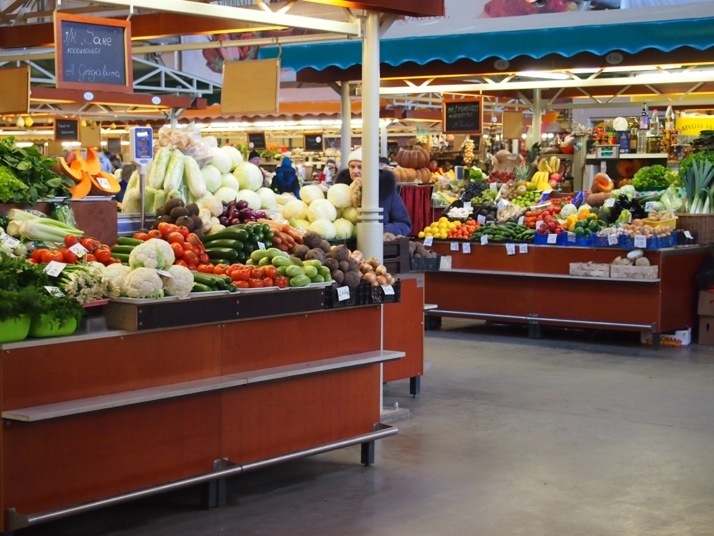 The supermarkets are similar to the kind that you find in town centres in the UK – reasonably sized, but not huge, they generally have a deli counter, meat counter and fresh bread/pastries/cakes as well as the usual shelves and fridges of packaged stuff. Pork seems to be the meat of choice in the Baltics. On our first night in Riga I had a really good pork and onion casserole, but there are lots of sausages, salamis and hams too. 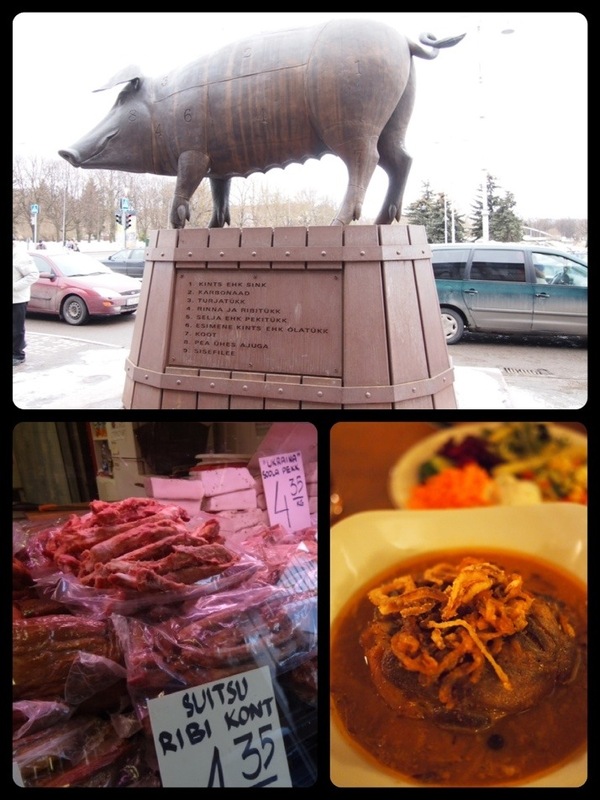 Pork is so popular that outside the covered market in Tartu there is a statue of a pig marked up with its butcher’s cuts! 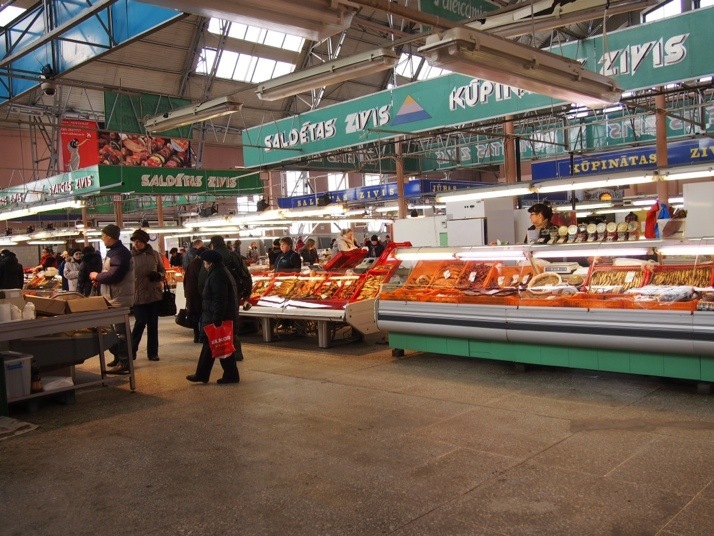 Lots of smoked fish in the markets – mostly salmon and herring (I think). Fresh fish are sold with heads intact (the smaller ones by the scoopful). We haven’t seen much in the way of shellfish, but there has been quite a lot of caviar, or other fish roe – something I’m expecting even more of as we move into Russia. 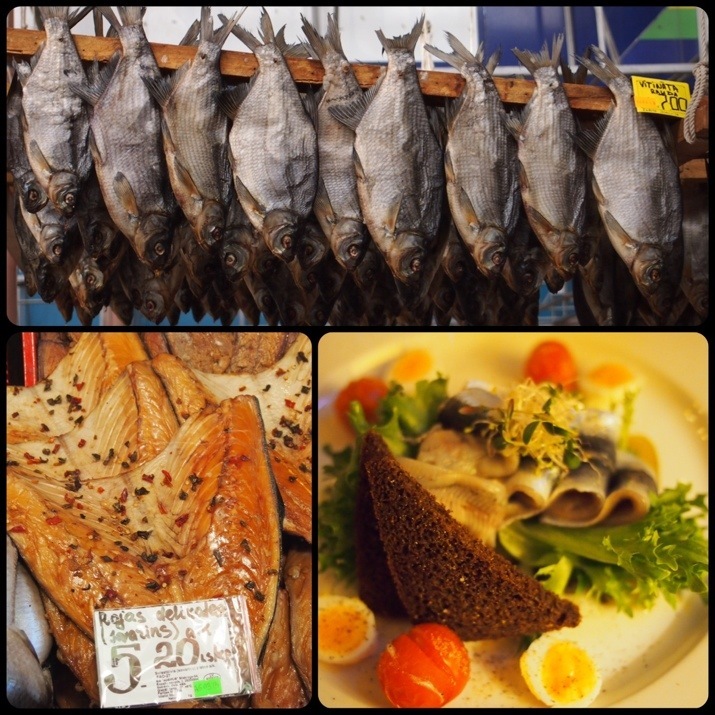 In Tallinn, we also had salted herring which was delicious – something like very good sushi but served with rye bread! 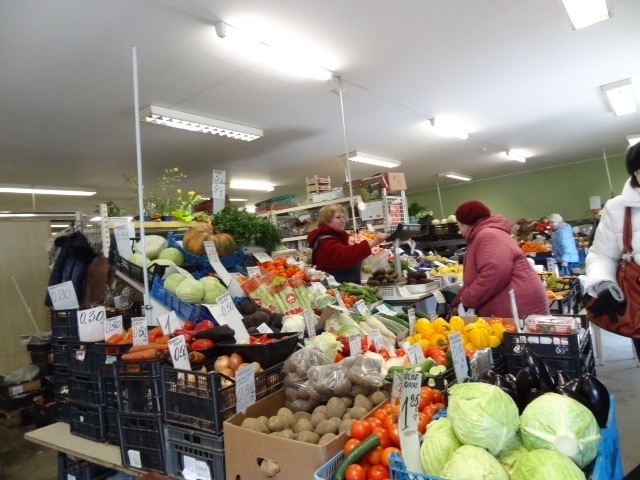 Seem to be pretty typical of northern Europe in winter – potatoes, roots and some excellent apples. Obviously you can get bananas, oranges and lettuce too they’re just more expensive. A special mention goes to the pickles. Lots of gherkins (pickled cucumbers) and lots of pickled cabbage too, some of it quite plain and some highly spiced, almost like kimchi. In the interests of research, we’ve also been checking out the region’s cakes :). 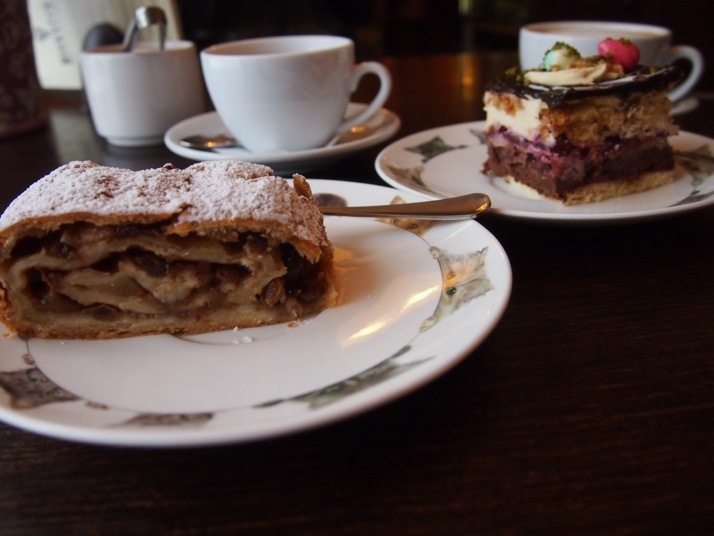 We had some amazing apple strudel and chocolate cake on Easter Monday at the wonderful Mr. Biskvits cafe in Sigulda. 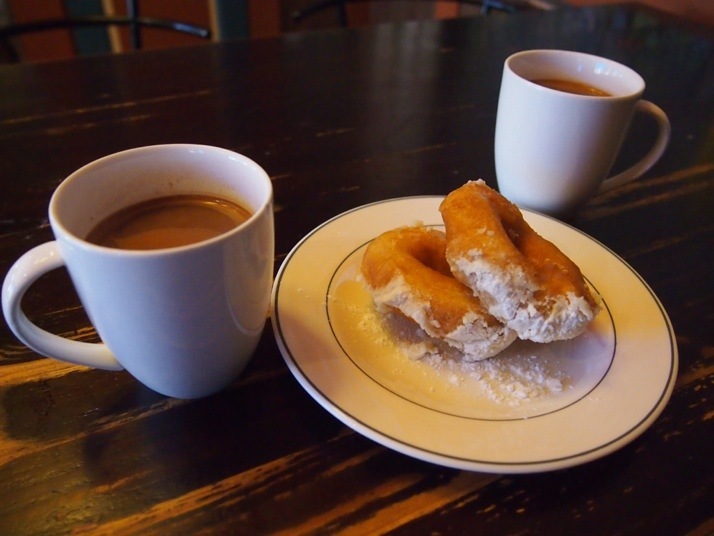 And Andrew found a real locals cafe in Tallinn which served Estonian doughnuts – not as sugary and made with a proper yeasty batter so they weren’t as uniform in shape or texture as commercial doughnuts. They were sold by weight, and at approx €0.25 each we had to have a second round! 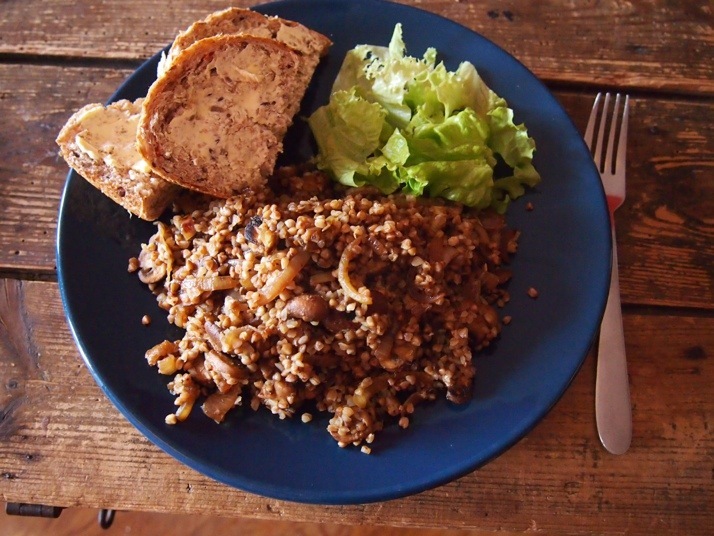 This entry was posted in Travel and tagged Estonia, Food, Latvia on April 6, 2013 by Julie. 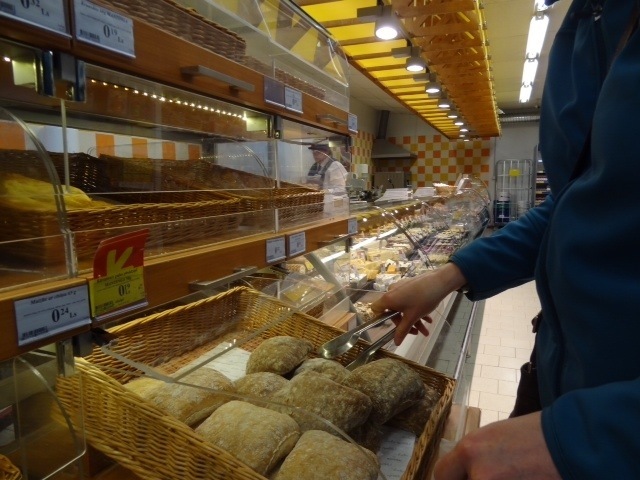 Got to say I also dislike caraway seeds – kept picking up bread in Prague at New Year with them in. :( Other than that the food looks excellent! Has it gotten any warmer? Have you tried all the caviar and roe??? Glad to see that you spotted the wine :). We’re trying some of the local alcohol too although beers rather than wines – grapes don’t do too well this far north. We haven’t tried any of the caviar and roe yet but we will! 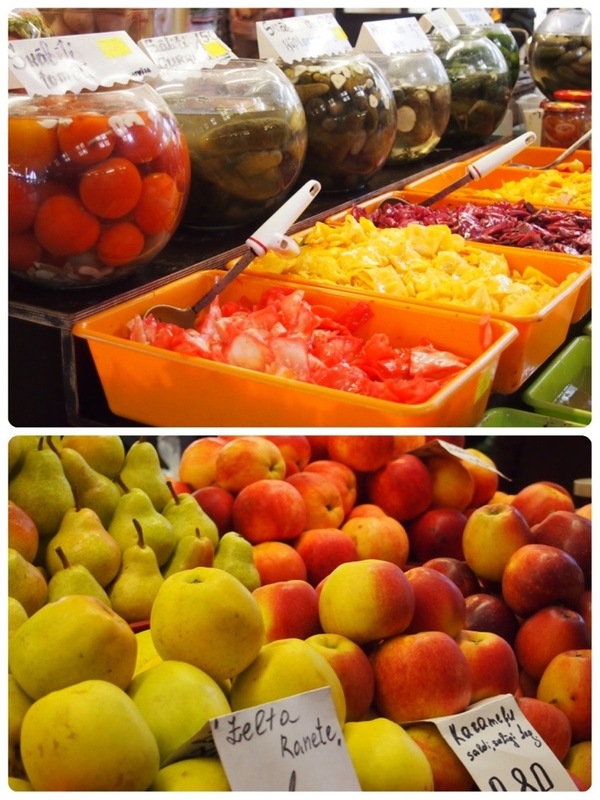 Yum, yum doughnuts, apple strudel – wonderful. Andrew how dare you let the side down – poisoning yourself with mushrooms!!? As for the caraway seeds, I actually like bread with them in – it adds a different dimension, so it’s not just the locals. Glad to see that you are eating well, I would hate for you not to have a good balanced diet. The wine helped, but I needed a lot of it..